Today, 30 November 2015, the Higher Education Statistics Agency (HESA) launches Heidi Plus, the new business intelligence service for the UK Higher Education sector. Heidi Plus is the result of a joint project between us and Jisc to boost the business intelligence capability of UK HE providers. The service provides access to extensive data and the latest visualisation technology to promote efficient decision making in HE. Bringing together our data specialists with the support and technology expertise of Jisc, the Heidi Plus service aims to bring the benefits of better business intelligence to UK Higher Education. Utilising the most up to date data exploration and analytics software Heidi Plus gives users access to extensive and detailed HESA data sets. The accessible interactive system gives users the power to creatively analyse and generate insights from the data. Heidi Plus aims to save time and money by making it quick and easy for decision makers to directly access the information they need. This can free up time for data specialists to interrogate data in depth and produce striking graphics, maps and visualisations. The system’s flexibility enables analysis of our official data on students, graduates, staff, finances, business interactions and estates. HESA is keen to help institutions meet the demands of efficiency and data is a critical component of this agenda. Heidi Plus will keep down the costs of analysing data and can be used to make better decisions about how to allocate scarce resources and benchmark organisations in terms of their operational efficiency. 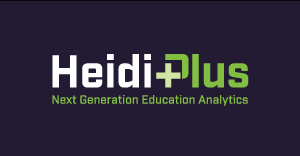 The Heidi Plus system is freely available to HE institutions with a full HESA subscription, enabling them to gain competitive insights and inform strategic decision-making. Non-profit HE sector bodies can also subscribe to Heidi Plus as an invaluable tool for research, reporting and policy-making. The data in Heidi Plus covers the whole UK HE sector. Jisc is dedicated to empowering educators, researchers and professional services colleagues through the effective use of digital technology. The launch of Heidi Plus represents an enormous achievement in pursuit of this aim. Further information about Heidi Plus and the HESA and Jisc Business Intelligence project can be found on the project website. For information on how to access Heidi Plus email the Heidi Plus team. The Higher Education Statistics Agency (HESA) is the recognised source of data on higher education in the UK. Our experts collect, analyse, and disseminate accurate and comprehensive statistical information on all aspects of UK higher education in order to support the strategic aims of our users and enhance the effectiveness of the sector as a whole. We are a charity and a company limited by guarantee. We operate as an independent organisation, working in close partnership with higher education providers, regulators, funders, government departments, policy makers, and other stakeholders. For more about HESA visit our website. Jisc is the UK higher education, further education and skills sectors’ not-for-profit organisation for digital services and solutions. We operate shared digital infrastructure and services, negotiate sector-wide deals with IT vendors and commercial publishers and provide trusted advice and practical assistance for universities, colleges and learning providers. For more about Jisc visit their website. Jisc, in addition to supporting HESA to bring in the improved production service, has established an experimentation area named Heidi Lab to examine new opportunities for business intelligence. Successful data experiments and analysis in Jisc’s Heidi Lab will be considered for migration to Heidi Plus, so that the Heidi Plus service continues to be developed with new features and data-driven insights.